Great fundraising ideas for your cause…. If you want fast, simple and effective fundraising ideas then we have the perfect solution for you. At cash4coins we buy foreign coins and foreign currency that you cannot exchange at the bank. This means that there are millions of people with foreign coins at home that will never be used and will go to waste. You can take advantage of this and collect those leftover foreign coins and then exchange the foreign currency for Sterling by using our cash4coins service. We pay some of the best market rates and we also pay either via cheque, PayPal or by BACS directly into your bank account. This means that you can use those leftover foreign coins as a great way of fundraising – it could not be more simple. Our team of specialists will count and re-count your collection to ensure that we extract all the revenue for you. With our highly competitive rates it means that you benefit from a great return on the foreign coins and banknotes. Our comprehensive service means that we can process both large and small amounts of coins, so whatever your collection let Cash4coins help- this is why foreign coin collections are one of the best fundraising ideas. We help fundraise for many different organisations from local clubs and societies, schools and colleges, UK charities, museums and hospitals. Whether you are looking to fund additional equipment, a fun event or day out or you simply want a little extra money in the bank to act as a buffer, a foreign coin collection is a great way to achieve this. We exchange any foreign currency including dollars, euros, Turkish Lira and more. Why not set up a special foreign coin collection tin at your next fundraiser or advertise that you are looking for foreign coins in your next charity magazine or school newsletter? You’ll be surprised how many people have foreign coins hanging around at home. Fundraising can be a very complicated process but with a foreign coin collection you can raise money very quickly and cost effectively. We will count and sort the money and even organise a FREE collection if your coins weigh over 5kg. Start your fundraising today by exchanging foreign coins, don’t forget that most people have foreign coins lying around – these are useless for many people and therefore they are very open to giving them to a charity or good cause. Collecting foreign coins is one of the best fundraising ideas so start today and make a difference to your fundraising campaign. Collecting and exchanging foreign coins gives you one more additional source of charity or school income and this type of fundraising can make such a difference. Remember, we can also collect your coins and notes for FREE if you have over 5kg so get weighing now and give us a call. We’ll only be too happy to help! 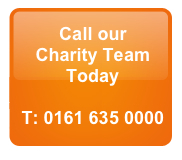 To send us your coins and notes please go to the page ‘How to send us coins‘ or call our charity team for more information.